Hello my lovelies, hope you had a lovely weekend. Mine was short and sweet. We had High Tea on Saturday in another village and yesterday we were supposed to go to the Circus in our village. But when we got there, they were already dismantling the tent. So I didn’t know how it ended so soon when the posters clearly stated it was until Sunday. Anyway, it’s Monday once again, the start of the new week and we all know what that means here at Say Cheesy Cake. It’s time to roll up what’s going to be on our plates this week. Friday is good Friday so I try not to eat meat on this day. What about you? What will you be having this week? 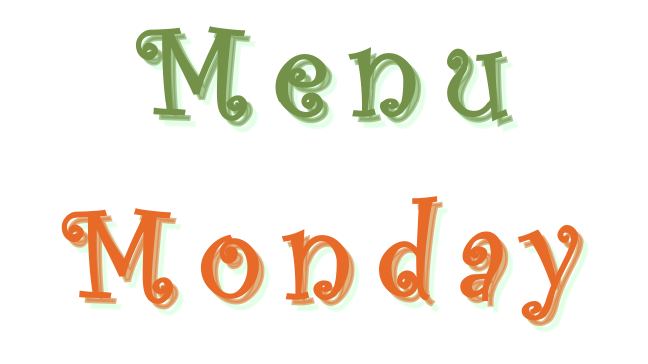 If you need more inspiration, check out my other Menu Monday posts. By the way, excuse my plugging, but I just recently joined Instagram and I don't know who to follow yet. I hope we can connect there too. My account is saycheesycake. See you there. Hm, so much pasta! I love lasagna. Wow it sounds like you will be eating lots of amazing dishes this week! I love the sound of spaghetti carbonara and lasagna! Happy Monday! Lasagna sounds amazing! Yumm! The high tea sounds like loads of fun! Saw the pic you posted on Instagram. It's cool that you plan your meals! I need to do that, I might start eating a little healthier haha. Thursday sounds GOOD! haha :) I need to start doing this. I'm planning to make spaghetti carbonara this week too - with roasted brussels sprouts. Yum! Can I come over for dinner? Your menu for the week looks absolutely delicious. I'm having chicken wraps tomorrow. Sounds delicious...especially that Friday dish! I need to start doing this! Such great dinner ideas! Spaghetti Carabonara and Lasagna belong to our favourite meals and I cook it often :) Today we had homemade Pizza, yesterday I cooked a pan with steak, potatoes, mushrooms, onions and herbs. And tomorrow I will cook Rigatoni al Forno. Wish you a happy week! Friday's meal sounds so tasty! It's been a while since I've had scampi. My ultimate spring lipstick is _______.